Kerning is essentially the space between the characters (letters, numbers, etc.). Most fonts automatically apply character spacing so you don’t have to even think about it. The problem is that even if the spacing between all of the characters is mathematically equal, it doesn’t always look like it to our naked eye. Because letters and numbers are shaped differently (some are round, some are angled, others are upright), the spacing around the characters gives the impression of more or less space between the characters. For example, the spacing between upright letters like E and N can appear different from the spacing between more slanted letters like W and A. The spacing between slimmer letters like upper or lower case i’s and lower case l’s may appear to be too wide in comparison to other letters. Sometimes this is because the characters are given an equal amount of spacing, regardless of their actual width. In the example below, each character is laid out so it fits into the same size box. If the characters were all the same width, this would be a great way to determine spacing. Unfortunately, some letters are wider than others, leaving too much visual space between some of the characters and not enough between others. In this instance, the l and i in the word “listen” actually fit into the same amount of space as the letter n.
Rather than letting the standard kerning dictate the design, a good designer will recognize any odd spacing and adjust the kerning to appear more visually appropriate. Often what we see is actually an optical illusion. Our brains prefer less space between certain letters and more space between others. 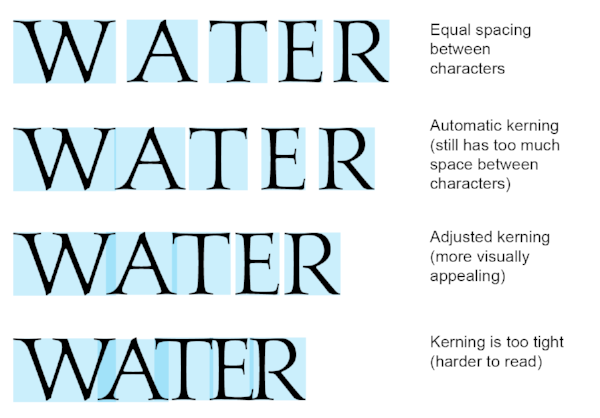 In the example below, although there is equal spacing between characters in the word WATER, the space between the first three letters appears wider than that between the last three letters. To make the word appear “normal,” we have to adjust the kerning between each of the characters. 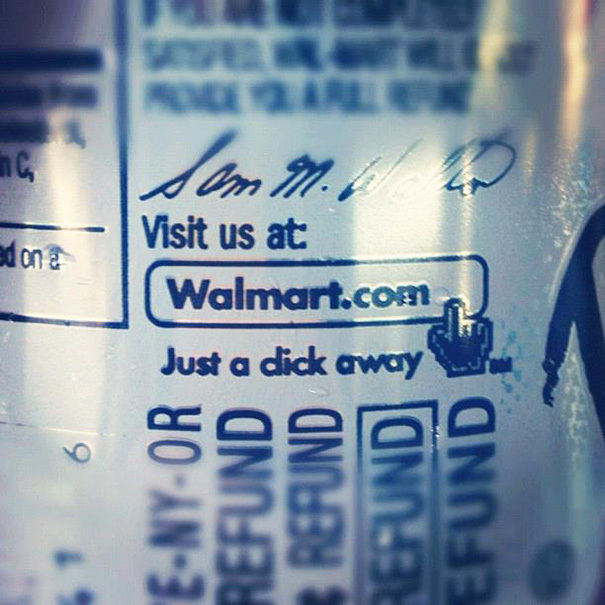 If not caught by an eagle-eye designer (or a proofreader), poor kerning can cause confusion and be a hindrance in effectively communicating your brand. At its worst, it can be offensive, communicate the antithesis of your brand, and be an expensive problem to correct.